The announcement by shadow health minister Luciana Berger that it intends to force a vote on an amendment to the Children and Families Bill to make it an offence to smoke in cars when children are present, has been welcomed by the AA. AA Cars, the AAs used car sales platform, also points out that not only can smoking damage your health, it can damage the health of your car as well. It points out that a smokers car can be more difficult to sell and will slice up to 10% off its value. The AA is supporting Labour in seeking to impose a ban on smoking in cars while children are present, particularly if there is evidence that this is a growing problem. Today the shadow public health minister Luciana Berger said the party intends to force a vote on an amendment to the Children and Families Bill in the House of Lords. If this goes through it would make it an offence to smoke in a car if children are present. As well as the obvious health risks we have also seen cases of children receiving burns from drivers trying to throw their cigarettes out of the window which is irresponsible as well as being illegal. Labour has claimed that children are particularly vulnerable to passive smoking and that a single cigarette can create concentrations of tobacco smoke in a car that is 23 times more toxic than in a house. There is also a financial consideration for drivers trying to sell their used car. AA Cars finds that it is much more difficult to sell used cars that stink of old cigarette smoke or have cigarette burns on the seat fabric. Its extremely difficult to eradicate the odour of tobacco from a cars interior and this is very unattractive to the majority of drivers who don’t smoke. We estimate that the resale value of your car may be cut by up to 10% because it smells of smoking. Many buyers will just walk away from a fag-ridden car. We even see people advertising ‘one non-smoking owner’ which seems to increase the value of the car. 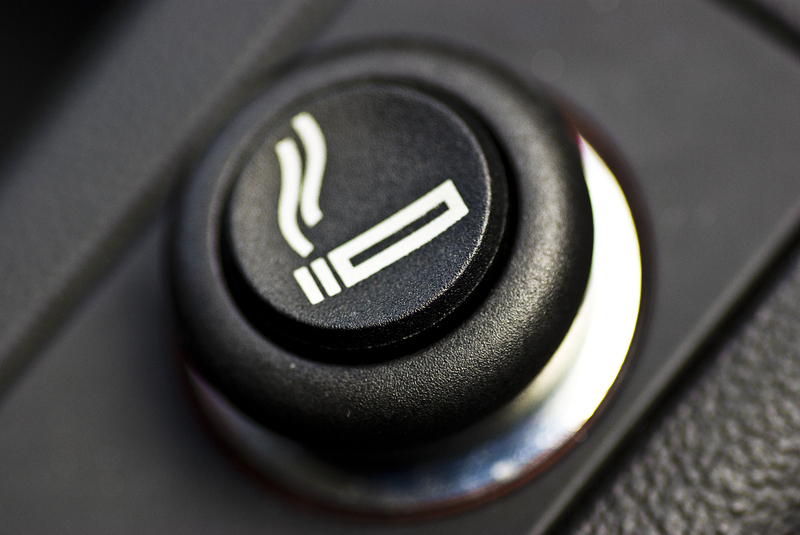 Smoking not only damages your health but can damage your cars health too.